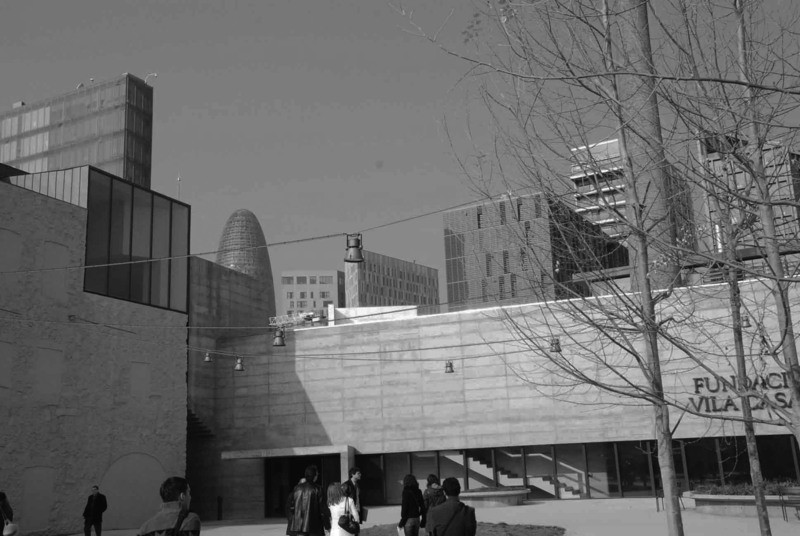 The itinerary opposes radical contemporary architecture with the living industrial heritage of the “Catalan Manchester”, paradigm of the industrial textile revolution of Barcelona, ferment of a new sociology: the Catalan bourgeoisie. Radiant technological corporative glazed architecture live together with brick old factories, now converted into potent museums and universities in the 22@ District, dedicated to knowledge, innovation and new technologies activities. The Forum area, symbolical ending of the paradigmatic Diagonal Avenue that leads into the sea, concludes the route of a new Barcelona. The Agbar Tower, the Media Pro Building, the Me Hotel or the Telefónica Tower, among others, represent a new city of spectacular and dazzling skyscrapers. Can Framis Museum or Ca l’Aranyó University form part of another architectural family. It is one that makes the exterior space -courtyards, archways, porches or public gardens- the leitmotiv of a nature where history dialogues with modernity. Diagonal Mar Park -a sensory and emotional experience- and Poblenou Central Park -an island, an oneiric refuge- also enrich an itinerary of diversity. Meeting point Agbar Tower. 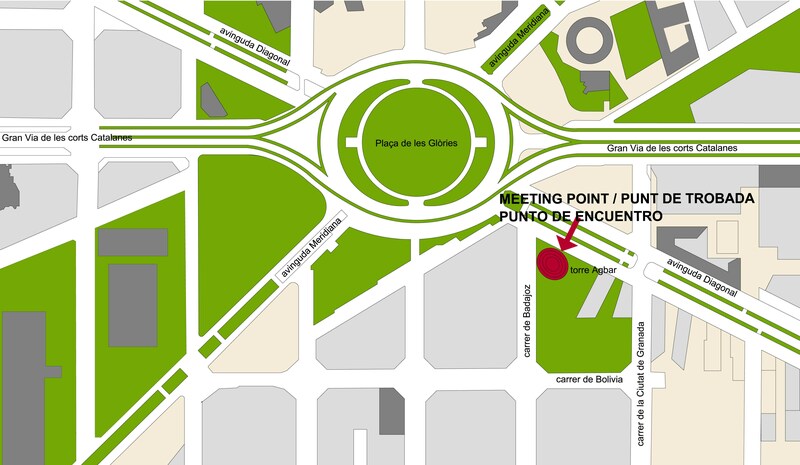 In les Glòries Square (under the Entrance canopy)(see map) * Please arrive 10 minutes before departure. Full personal route dossiers and tram ride (2 stations) are included. A final espresso from a panoramic rooftop terrace of a hotel is also included to enjoy Barcelona skyline.